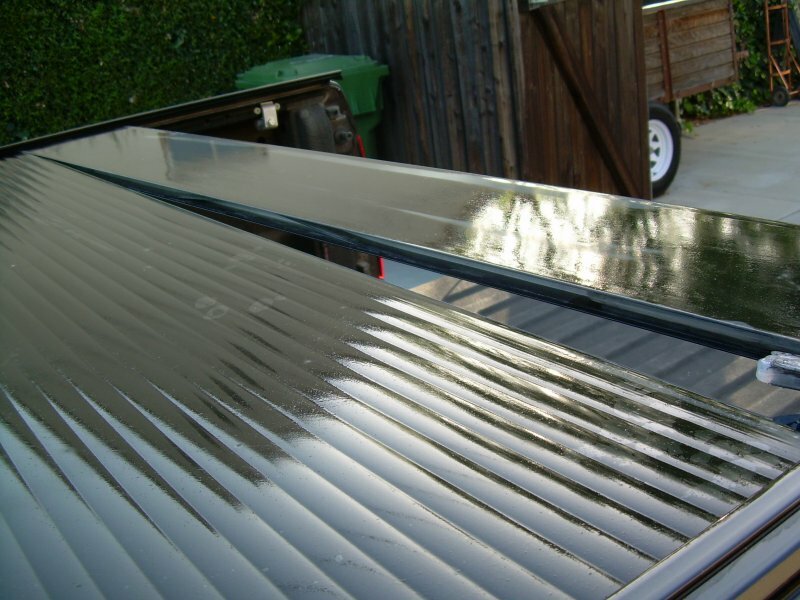 I have posted numerous times that I like my Retrax rolling bed cover. It fits my needs and looks good. So I was very disappointed when my cover broke. I think it is only right that I report the good and bad about products we discuss here so that we can all make informed purchasing decisions. This cover broke after 2 years and 2 months of light use. I don't work out of my truck, so it is not something that gets opened and closed every day. It developed this separation while my wife was driving on the highway. The warranty on these is 1 year, but for a cover that costs $1k plus, I expect a lot more than 26 months of service. I contacted Retrax with these photos and they were very good to work with, promptly communicating and willing to help. A replacement cover cost more than half of the original cost of the entire unit, but they sold me one at about 10% off list. They have some kind of unpublished prorated warranty on replacement parts. Of course I am not happy to have to pay for something which should have lasted a lot longer. So while I was impressed with their customer service, the product disappointed me. I installed the new cover yesterday and it looks like they have added some reinforcement in the form of a tape on the bottom side. That makes me wonder if there was a known issue. I sure hope this one lasts longer. Sorry to hear about that Bill. Hope your new cover lasts a long, long time. Hopefully it was a fluke. Agree 100% that a cover that costs close to four figures should last much longer than yours did. I had a Peragon folding cover that I just removed because one of the panels cracked and failed at a hinge joint. It lasted about 4.5 years. I know a couple people that have had the Retrax cover for about 4 years on their rides and they still look good. I liked their appearance and function so much that I decided to order a Retrax for my ride to replace my defunct cover. Unfortunately, FedEx has a gorilla or two working in their ground shipping dept and the cover/drum unit was destroyed on both ends when I received it. I'm currently working with the company I ordered it from to get a replacement unit. Hope I get it soon as I have road trip coming up for which I need the cover. Same thing happened to mine driving down a rough dirt road. It was about 1/2 year out of warranty. I was not too happy. Took it back to the dealer I bought it from and they were great. Said something about a bad batch of them made. Retrax sent them a new cover and they installed it. No charge whatsoever to me. New one did seem to be better. I'm still happy with their product and service. i also have the same issue. Anyone try fixing it? I was told i had to pay full price for a replacement because im the second owner. Traveling to florida in 3 days and was wondering if there was a aay to keep it shut so people dont get sticky fingers on all the tools ill have in the back. Doesnt have to be permanant just need something to hold for a few days! Brian, I am the OP on this topic. Here we are almost 9 years after the replacement cover was installed, and this one has held up fine. So however they improved it, apparently it worked. You asked how to keep it closed, so I guess you mean to close up the separated slats? Your question confused me at first, because the covers have a lock, but I'm guessing you need to keep it together for a trip. If the slats are just separated, and not terribly cracked, I think you could apply some tape along the slats on the bottom side. Not sure what tape, but something reinforced would be best. Retrax put such tape along all the slats on my replacement cover. Seems to have some fiberglass meshed into it. Maybe even some Gorilla tape would hold up long enough for your travel plans. That stuff sticks good, but is not reinforced. the tape is a good idea! 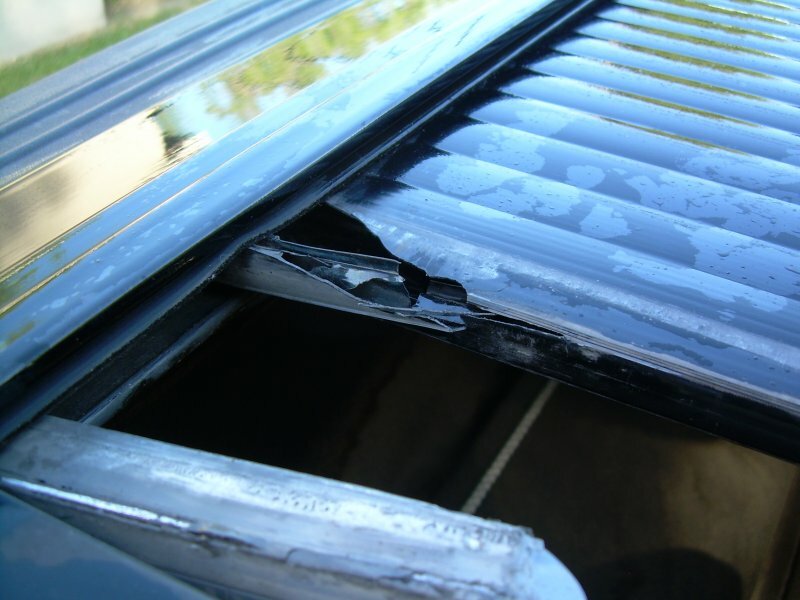 Yes the passenger side opens up like 6-10 inches because of the lock latched and the seperation in the slats. I have the same cover going on 3 years old. No Problems, No Leaks.. Whew!!! Retail on my cover was $2,000 - $2,500.. I think it was called the Retrax Pro has a lifetime warranty. Additional note.. I have a 26k 5th wheel hitch that sits nicely underneath the cover and works perfectly with towing a 5th wheel trailer. I'm able to keep the hitch in place and just open the cover when I need to tow. Ha, after 9 years you found my typo. It should have said 10% off list. Amazing that I can still edit that post, which I just did. List on a replacement rolling cover was about half the cost of a complete cover. It's been too long to remember exactly, but I know it cost me more than $500 for the replacement delivered. They didn't have the Pro model when I bought mine. Just the one model, plus I think there were some optional stuff available, like a light and maybe a motorized roll. I also roll mine over my fiver hitch. One of the things I like is that I can lock it down anywhere along the rail, including right up next to the pin box when towing. 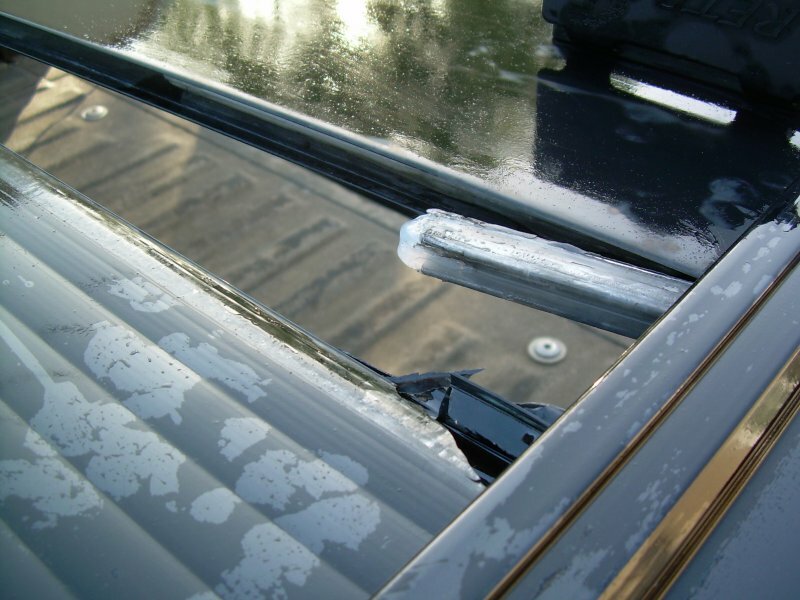 Keeps stuff up front dry as well as reducing wind turbulence in the bed. I'm the second owner of mine. I didn't like it at first, but it has grown on me. I don't think I could go without one now. Mine is a Retrax Pro as well. 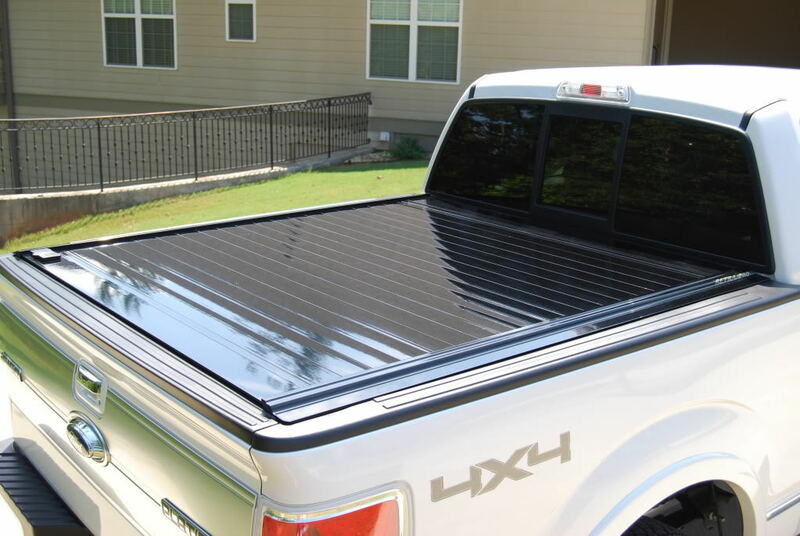 Stay confident about your cargo with a tonneau cover + Promo! Don't miss Gift Season from Retrax at CARiD!